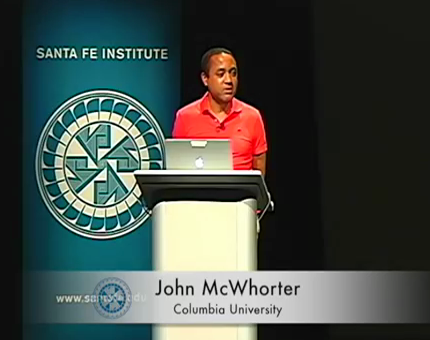 Linguist, professor, and author John McWhorter has featured on Sentence first a few times before, in posts about texting, creoles, dialects, linguistic complexity, and book spine poems. He has written many books and countless articles about language, and has been hosting the excellent Lexicon Valley podcast for the last while. In the video below, McWhorter talks about the ideas in his recent book The Language Hoax, the hoax being the Sapir–Whorf hypothesis, aka linguistic determinism or relativity, depending on how strongly it’s believed to apply. * This is the appealing but mostly unfounded notion that our language shapes the world we experience. There’s a helpful summary of it here, and further discussion in this book review. 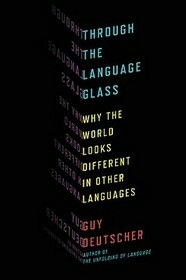 The subtitle of McWhorter’s talk, ‘Why the world looks the same in any language’, outlines his position. But he acknowledges there is wiggle room for weak versions of the hypothesis, whereby our perceptions can vary slightly because of our different native languages. It’s a fun and interesting talk, given at the Santa Fe Institute in New Mexico in 2016. It’s around 50 minutes long, and there’s a lively Q&A to finish. 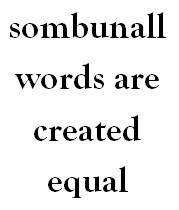 Since I have neologisms on the brain, I got to thinking of one coined by Robert Anton Wilson (in his book The New Inquisition, as far as I know): sombunall, meaning “some but not all”. Wilson intended it as “semantic hygiene”, a neo-Whorfian corrective to dangerous generalisation, or a sort of epistemological buffer. The word hasn’t caught on widely. Google hits aren’t much of a metric, but sombunall’s count of <7.5k (when last I looked) shows its relative obscurity; on the OneLook dictionary aggregator only Urban Dictionary features it (nothing in the unabridged OED or Merriam-Webster). Maybe because some but not all isn’t so unwieldy in the first place, and plain old some does solid work albeit without explicitly emphasising the not-all bit. I included sombunall in an early language-links post, but never adopted it habitually myself. Because of its limited use, the word remains strongly associated with Wilson, as do its relative mosbunall (“most but not all”) and the Discordian in-joke fnord, among others. This RAW fan site, for instance, is subtitled “Sombunall things Robert Anton Wilson”. Yet so far as we love seriousness, as well as life, we are moved by it, nourished by it. In the respect we pay to such lives, we acknowledge the presence of mystery in the world — and mystery is just what the secure possession of the truth, an objective truth, denies. In this sense, all truth is superficial; and some (but not all) distortions of the truth, some (but not all) insanity, some (but not all) unhealthiness, some (but not all) denials of life are truth-giving, sanity-producing, health-creating, and life-enhancing. With his commitment to systematic uncertainty, or perhaps more accurately anti-certainty, Robert Anton Wilson would, I think, have enjoyed those lines. I have sombunall faith in this assumption, of course. Episode 2 of Fry’s Planet Word (BBC) focuses on dialects and sociolinguistic identity. 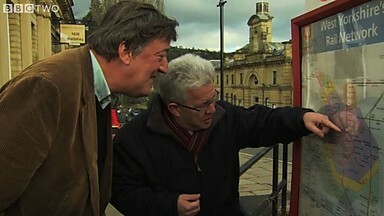 It kicks off in Yorkshire, where poet Ian McMillan demonstrates stereotypical aspects of various local accents. 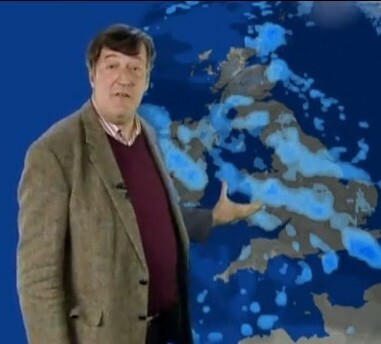 Fry is inspired to offer his own verbal tour of the UK’s accent map, playing a weatherman to help precipitate the “microclimates” analogy. There’s an unexpected detour into Whorfianism. After pondering our dialects’ effect on how people perceive us (Geordie, once scorned, is now adored), the show looks at languages’ effect on how we perceive the world. Lera Boroditsky, who champions linguistic relativity, tells Fry that people speaking Russian or English espouse more collectivist or individualistic ideas, respectively. Next up is language death, something Fry rightly laments. We venture to Connemara, County Galway, where he famously had a cameo in the Irish TV soap opera Ros na Rún. He drinks Guinness and hears stories in traditional pubs, asks schoolchildren about learning Irish (they admit to texting in English), and shares hopes and trivia about the Irish tongue. Fry has spoken on this subject before. In the Basque country, Fry meets a woman who says language, like food, can absorb external influences. He suggests that language and cuisine might be closely entwined because recipes were once passed on by word of mouth. It’s an interesting idea, but without researching it I have no idea if it’s based on fact or theory or hearsay or whimsy; and this, I think, is the show’s fault. When I wrote about the first episode, Babel, I said Fry’s popularity and likeability would draw an audience who might not have a particular interest in language. But because he is not a specialist, he misses opportunities to ask better questions, and we are left with too much fluff. I kept getting the impression that the most important thing in any encounter was that everyone enjoy themselves and get along. In France, Fry meets one of the 40 immortals of the Académie française, which dictates on “proper” French. It’s a curiously awkward meeting, and Fry, left outside the door while the Académie holds a meeting, decides the system is “very strange and very French”. Lightening the mood, he hears from a hip-hop singer in Marseilles how subcultural and ethnic minority slang is slipping into common spoken French in small but satisfying ways. Similar mixing is happening in Hebrew, which died as a spoken language but was revived through political will and collective identity. Fry visits Ghil’ad Zuckermann, who offers an amusing metaphor of Hebrew as a Phoenix, a cuckoo, and a magpie. At a garage, they discuss the problem of what to call things like puncture and carburettor in a language that was frozen for so long. Some ancient terms are modernised, some words are borrowed from elsewhere. 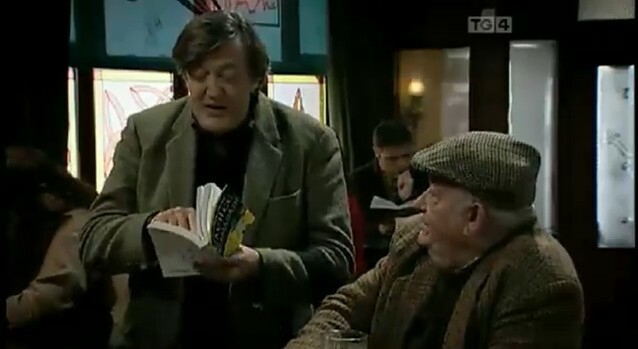 Every language, so long as it lives and is not totally isolated, is a melting pot, and the show finishes in a cauldron of partisan wit: a football ground, where Fry watches Norwich City and he bonds with his chosen tribe. The obvious point is quickly made, and there is no time for analysis or examples of the curses and chants of the terrace. Planet Word is fond of bonding, and of cultural quirks and scenic jaunts, but so far it suffers from a dearth of information and structure, and a surfeit of Stephen Fry himself (whom I like). Experts are interviewed, but given too little time. That said, it is an enjoyable programme with broad appeal; your mileage will probably vary principally according to your feelings about Fry and your foreknowledge of linguistics. Next week’s episode is about swearing. That should be fun. Update: Language Log has posted a critical review of this episode that looks in more detail at its shortcomings.